Edward Wang, a doctoral student in electrical engineering at the University of Washington, has been selected to attend the 2018 Heidelberg Laureate Forum. The forum brings together laureates of prestigious awards in mathematics and computer science, and 200 carefully chosen young researchers from around the world, for a week of scientific inspiration, social networking and outreach. According to Wang’s advisor, Shwetak Patel, professor of electrical engineering and computer science and engineering, the forum selects high-achieving graduate students from around the world. 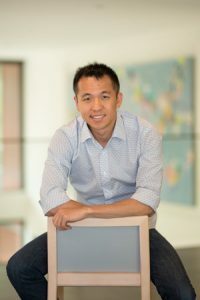 Wang was chosen, in part, because of the breadth of his research in utilizing computing to improve the access to healthcare around the world. Electrical engineering Ph.D. student Edward Wang. As a graduate student, Wang has researched and begun to develop ubiquitous health sensing solutions—using sensors to monitor a person’s health more continuously and conveniently and doing so in a cost-effective manner. His work focuses on using his expertise in mobile and embedded systems development, signal processing and machine learning to reimagine health monitoring. He is currently working on several projects to improve different medical needs. A few include HemaApp, a smartphone app that noninvasively monitors blood hemoglobin concentration using the phone camera and flashlight; Seismo, a blood pressure monitoring system using a combination of the phone’s camera and vibration sensor; and OsteoApp, an osteoporosis screening solution using only a smartphone and something that can be used to tap a person’s leg. These technologies aim to improve access to monitoring serious health conditions using commodity devices that are already prevalent in society in even the most remote parts of the world. Wang has other projects in the works, focusing on examining novel solutions that can add next generation wearable devices into the mix for a more complete ecosystem of health and clinical monitoring. As Wang approaches his final year in his Ph.D. program, he hopes that the Heidelberg Laureate Forum will give him the opportunity to showcase some of his work to a new audience and gain a unique networking opportunity. Last year, another member of the ubicomp lab, Mohit Jain, was invited to attend the forum and valued his week in Germany. As Wang decides in his last year whether to begin his post-graduate career in industry or academia, he knows that the forum will have a positive impact on his next career move.